There are days that I love nothing more than working in the kitchen on “oven watch”. These type of days are when I’m not stuck at my computer for hours on end, and the sun isn’t splitting the stones. Lately though, with the sunny weather and my two boys being that bit older all they want to do is to play out in the front garden with the big boys. That’s all great, except we have an open garden system where we live and that means we don’t have gates that I can close to keep the boys safe and the road is very close to the house. So if the boys want to play outside then I have to be out with them. It kind of cramps my style when it comes to desserts and I’ve been revisiting some old no-cook favourites over the past couple of weeks. We are so lucky to be able to grow our own fruit, but our outdoors crop is still a bit behind. I dropped up to Clarke’s fruit farm recently and cleared their shelves of strawberries and made a grand big batch of strawberry jam. 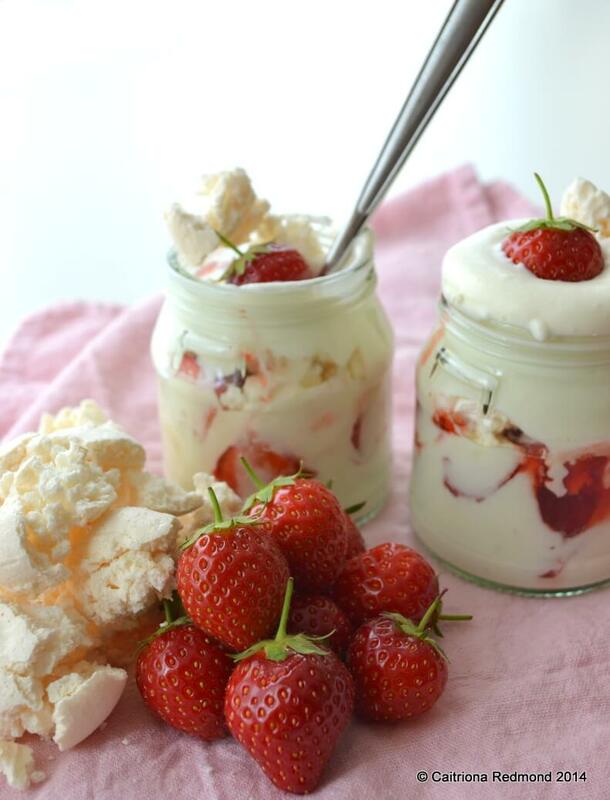 You don’t really need strawberry jam for Eton Mess but it certainly does help the flavour. This is the kind of treat the children can get stuck into at every stage. The (shop-bought tsk, tsk) meringues need bashing, strawberries are soft enough to cut with a small knife under supervision and of course the cream to be whipped. There is nothing like a cream whipping contest to get the boys competitive. 3 teaspoons of strawberry jam. Put all the ingredients inside. Stir with a big spoon. Do I call this a recipe? 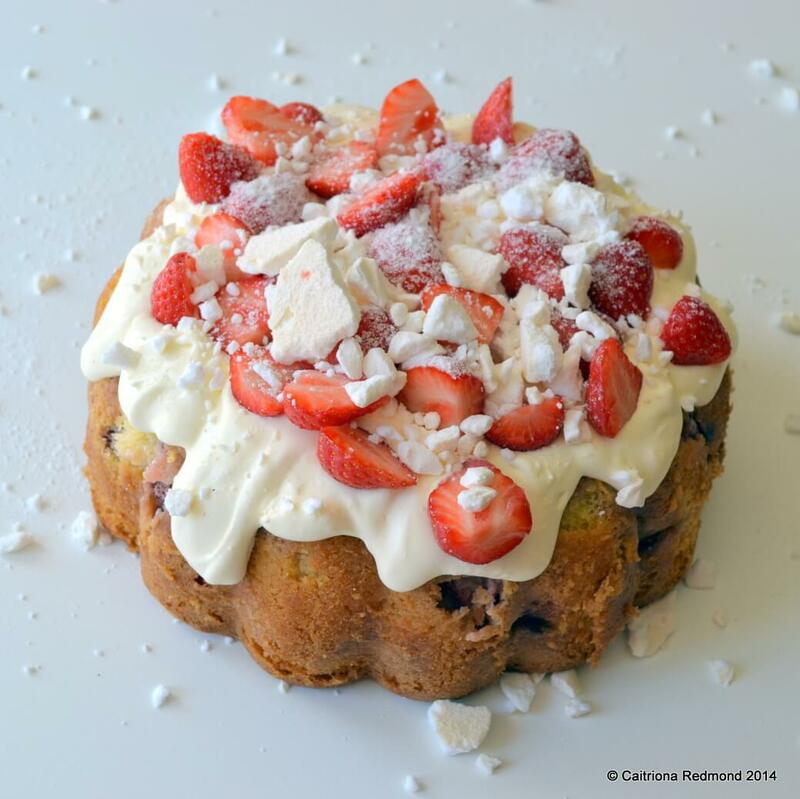 Still if you’d like to learn how to make Eton Mess CAKE you’d have to *cough* buy my book from Amazon or from my publisher, Mercier Press for €15 including delivery in Ireland. The jars are actually from Glenilen yoghurt pots. I do love a bit of recycling! Clarkes is in Stamullen, Co Meath. They have directions on their website.